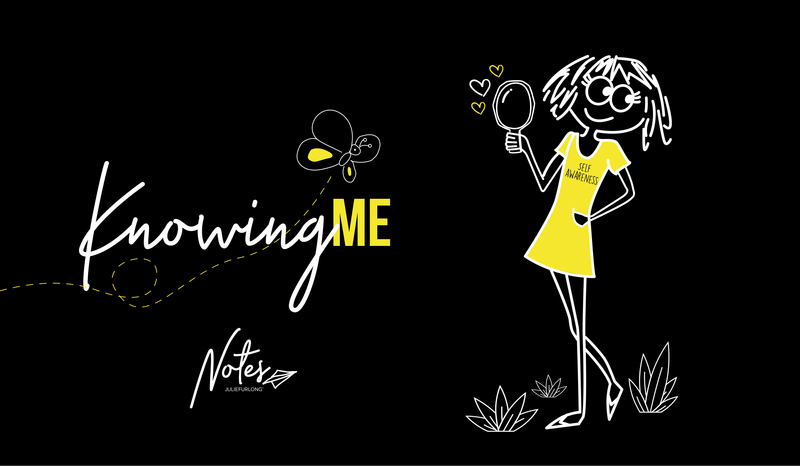 Knowing me | Self-awareness, the most powerful tool. Don't settle for less. Have you ever had one of those weeks? I’m sure you have…I just had one myself. Those weeks where you are constantly getting criticised, let down and you are left disappointed. It could be anyone, someone from work, someone from the past, or even someone close to you. Those weeks where you are trying to figure out what you are doing, where are you going, and how on earth did you get there? Everything comes tumbling down! You're human, and you are allowed to have those weeks. But before you allow your feelings and inner thoughts spiral into the land of the pixies and irrational thoughts, remember this – remember your own self-awareness. Self-awareness (in other words knowing yourself) is the most powerful tool to help you live the life you want, rather than settling for whatever comes your way. Self-awareness also allows you to let any judgement, opinions and verbal abuse flow through you without you feeling emotional, upset, attacked or just simply down and out. A wise woman once said to me you cannot rationalise with an irrational person – and how right she was! When you find yourself in this position (like I did a few weeks ago), remember to sit back and have a think about yourself. Remember to behave consciously and identify and manage your feelings, not the feelings of others. Remember to reflect on all the things you have achieved and things you are yet to achieve. Knowing yourself will remove your anxious energy on petty things, redirecting your negative thoughts and emphasising the bigger positive picture (Read: Like Me Or Not). So, this month why not start spending some of your valuable time figuring out and developing an understanding of yourself; what are your dreams, personality traits, personal values, habits and emotions? What makes you happy, feel safe and comfortable? When you know this, you will be more likely to accomplish what you consider most important in your life. Self-awareness will provide you with this inner peace, allowing you to think more about meeting your own standards and expectations rather than the standards set by others. I guarantee you that being content in life all the time will never be possible. There are always regular ups and downs. If you are determined to be happy all the time, you're aiming towards an unrealistic goal that will leave you disappointed (Read: The Happy Plan). Start with finding the compassion and love for yourself to identify and understand who you are by knowing yourself!